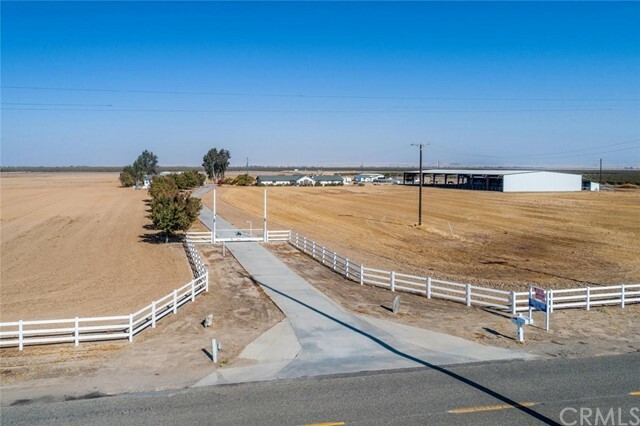 All Chowchilla homes currently listed for sale in Chowchilla as of 04/21/2019 are shown below. You can change the search criteria at any time by pressing the 'Change Search' button below. 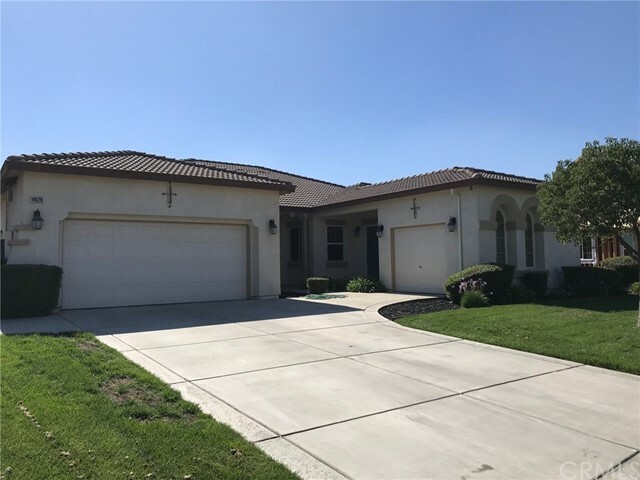 If you have any questions or you would like more information about any Chowchilla homes for sale or other Chowchilla real estate, please contact us and one of our knowledgeable Chowchilla REALTORS® would be pleased to assist you. "Absolutely stunning Equestrian Estate on 38+ acres! This incredible property includes 2 homes...main residence features 2730sf, 3bd/3bth, huge center island kitchen/dual ovens, lrg great rm with a beautiful brick fireplace & a 3 car garage. The 2nd home is 1440sf dbl wide mobile, perfect for guests/trainers with an oversized 2 car garage. The facilities include an impressive 100'x 200' all steel covered riding arena w/12 oversized stalls w/paddocks, insulated tack room & covered walk-way. There is also an additional 10 stall center aisle barn with hay/grain storage, indoor/outdoor wash/vet racks, a huge air conditioned tack room w/bathrooms, 64' round pen & two 25'x25' hay shelters. Last but not least is a huge 40'x75'' shop with room for 2 RVs, full RV hook-ups with water/power/sewer, along with 2 addtl rooms for storage/crafts. Must see today!" "Country living at it's finest! 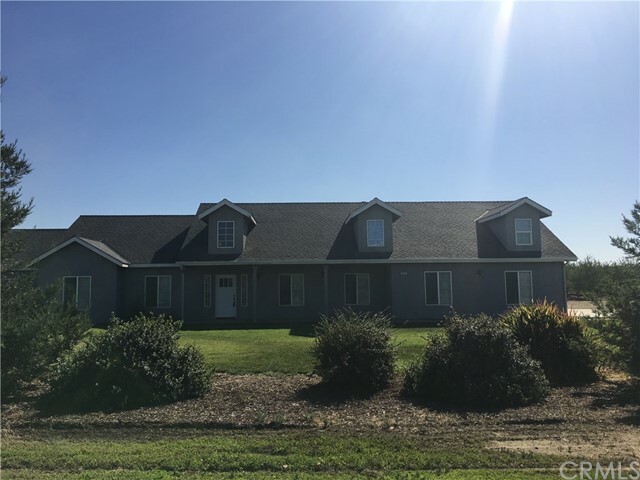 This ideal horse property includes a beautiful 2500 square foot home on nearly ten acres, fenced! This 3 bed/2 bath home been recently updated with new appliances, granite counter tops and custom cabinets. Open beam ceiling, a cozy fireplace with insert, handmade barn door and crown molding throughout. Beautiful sunroom with lots of windows looking out to an amazing backyard with a pebble tech pool, tranquil waterfall, adjoining , relaxing cabana and a fun cantina with a bar, BBQ, microwave and refrigerator. Upstairs is spacious loft with an extra room and a closet. Could be used as an office. 40x60 fully insulated shop with roll up doors, double vented for circulation. Numerous outdoor structures, some included with AC and electricity. Tons of room for horses, livestock and riding. Call to schedule your appointment, today!" 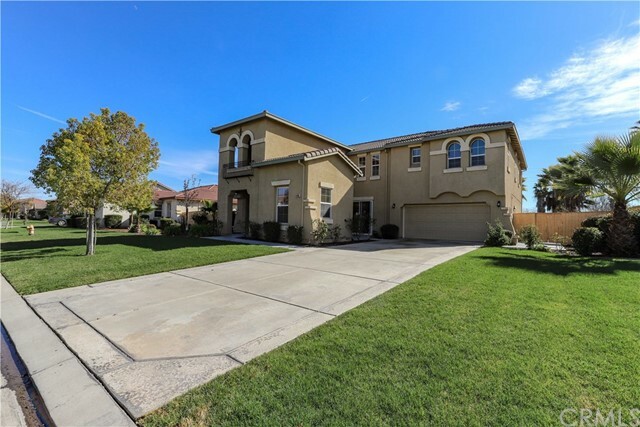 "Exquisite Home with upgrades galore from top to bottom and from front to back. Here's just a few of the many upgrades in this gated community home: Marble & Quartz Counter tops, double stainless steel gas range and ovens, 3 fireplaces ( 2 with custom mantles), built in cabinets and shelving in several rooms, cown molding, plantation shutters, newer carpeting upstairs, LED recessed lighting, beautiful drought tolerant front landscaping with stamped concrete, custom brick and rock detail, gorgeous back and side yards with extra concrete, raised garden beds, newer fencing and an additional kitchen. All this plus 2 laundry areas, a 4 car tandem garage, side courtyard and more. Bedroom count is different from tax records, buyer to verify if concerned. There may be an improvement bond paid with the yearly property taxes. Buyer to verify." 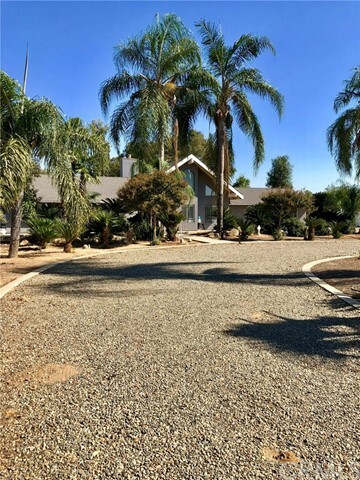 "2474 sf single story ranch style home on just over one acre amid almond trees - just the right amount of space and privacy. Master suite with beautiful bath and 2 walk in closets plus 3 additional bedrooms. Fireplace in living room. Gorgeous kitchen with custom cabinets and granite. Plus bonus room over garage." "Beautiful single level home situated on the lake in the Prestigious Cascades of Greenhills. 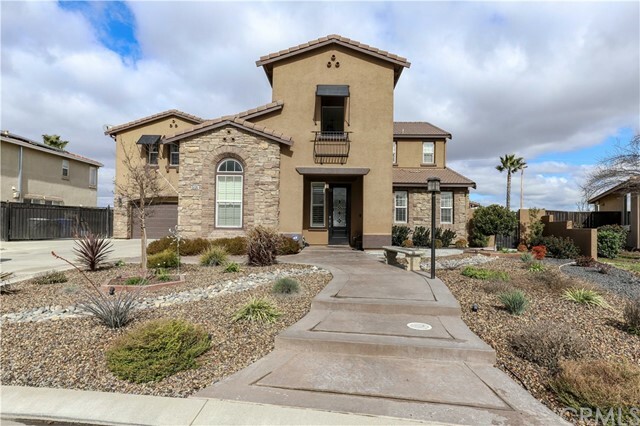 This home boasts many upgrades and features a casita perfect for visiting family or a home office, 4 bedrooms, 3 1/2 baths. The formal dining area is the perfect place to savor an elegant meal or just enjoy casual dining at the breakfast bar. There is a 3 car garage, in ground pebble swim spa, private courtyard or enjoy gorgeous sunrises over the lake. SQ Ft and Bath, bedrooms differ from tax records. There is an improvement paid with the yearly property taxes. If important buyer to verify." "Own a piece of Paradise! Look no further this is it! Come to Paradise and relax in your own private jacuzzi in your Master Suite or if you prefer relax in your heated private pool/spa while the food is being BBQ in your Custom made, built-in Luxurious BBQ. In the cold nights spend time with your friends roasting marshmallows in the built-in Fire Pit. Just Imagine, this could be your piece of Heaven on Earth!" "Welcome to beautiful living on a premier golf course lot that overlooks the 17th hole. Rich wood flooring greets you in the entry, eating and kitchen areas. Many custom upgrades throughout this home including granite on the kitchen, dining and the built-in desk area located off the additional eating area. The formal dining room features additional glass front cabinetry & a wine/glass holders. Family room has a wonderful stone fireplace with mantle. 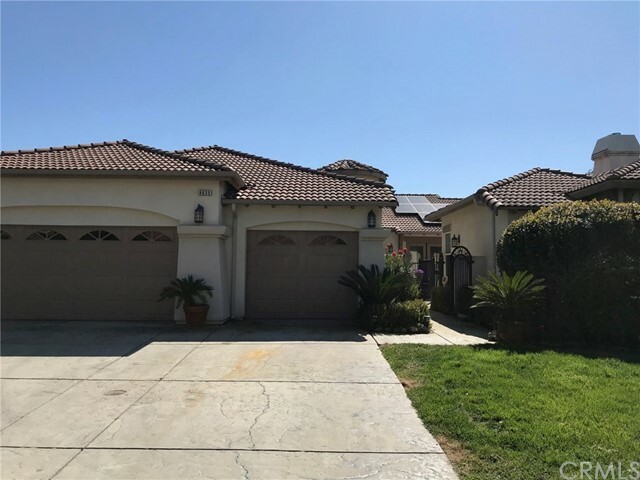 Downstairs features a bedroom, full bath, front sitting room, family room & a bonus casita in the back which could be converted to a 5th bedroom. . Added concrete to both sides and the back yard enhance the landscaping & entertainment possibilities. The upstairs features 3 additional bedrooms including a large master suite with sitting room, 2 walk-in closets, a jetted tub, separate shower stall & split dual vanities. The back yard features a large covered patio, plus an additional open patio area and a variety of fruit trees. Views are sensational from back or from the master suite balcony. SQ Ft of home differs from tax records and there may be an improvement bond paid with the yearly property taxes. Buyer to verify." "If it is truly Location! Location! Location! - and it is, then this is the place. This 2-story, 2948 sf home with 4 bedrooms and 3 baths is located in Kayla's Kove one of the most desirable neighborhoods in Greenhills. It is on a 16,117 sf lot overlooking the 5th fairway and lakes of Pheasant Run Golf Club. 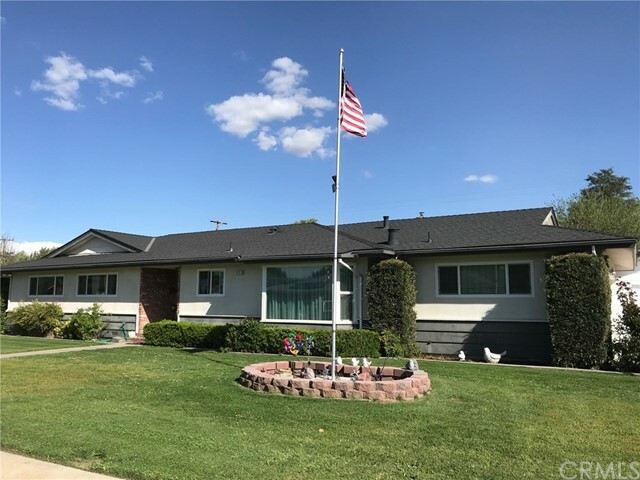 Not only is the rear yard supersized, this property includes a permanent easement from Pheasant Run adding the slope from the property line down to the golf course lake making the lot approximately a 1/2 acre. The house itself has a wonderful family floorplan. The eat-in kitchen has a breakfast bar that opens to the family room. The first floor also includes a formal living and dining room as well as a bonus game room, bedroom and 3/4 bath. The beautiful staircase leads to the second floor with the master suite plus two bedrooms and another full bath." 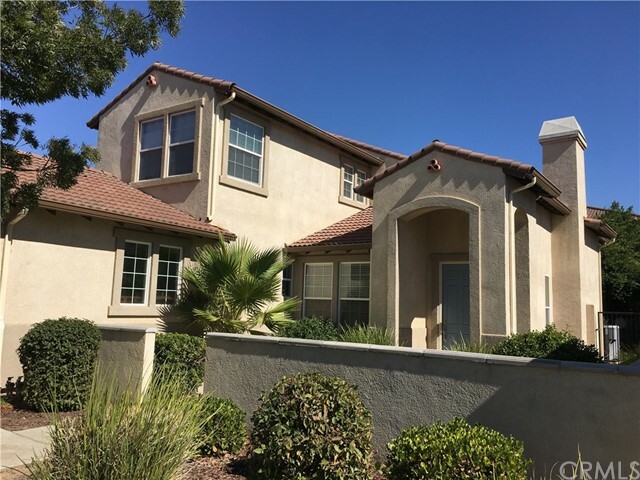 "Large 5 Bedroom, 3 Bath home at Greenhills Golf Course gated community." "This is a jewel of Spyglass Circle. This beautiful home sits on the prestigious Greenhills Estates & Golf Club with a beautiful view of the lake from the rear of the patio. 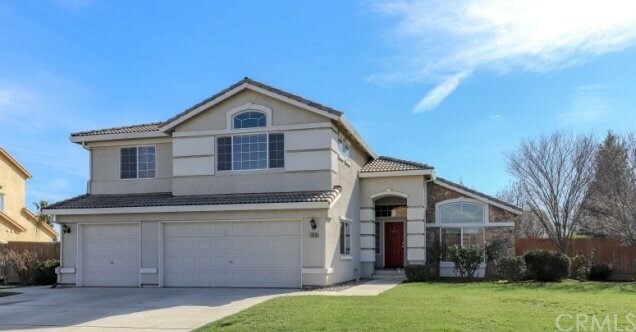 This home features 4 bedrooms, 2 1/2 baths, oversize master bedroom and bathroom downstairs with a huge walk-in closet. As you walk through the front door you walk into living room with beautiful Roth iron wood stairs. On the right, a separate dining room leads to a large open kitchen with pantry and lots of cabinets with an island eating bar leading to family room with a large fireplace. As you walk upstairs to a loft you will find 3 bedrooms and 2 bathrooms. Windows in rear look over the beautiful bright blue lake. Home sits on over 10,000 sq. ft. lot. Home has been upgraded within a year with cost of $65,000 dollars. HOA fees are only $138.00. You have lots of amenities; access to golf course, pool, gym, the lake to be on your boat or do some fishing, a paddle boat sellers will leave to new buyers. This is a property that you must see in person. Call today!" "Country compound on 4.5 acres, records indicate 2 homes. Approx 1600 sqft. 3/2 recently updated. Ceramic tile floor throughout, granite in kitchen, wood cabinets, tile in bathrooms, spacious bedrooms. Approx 1500 sqft. 3/ 1 1/2. 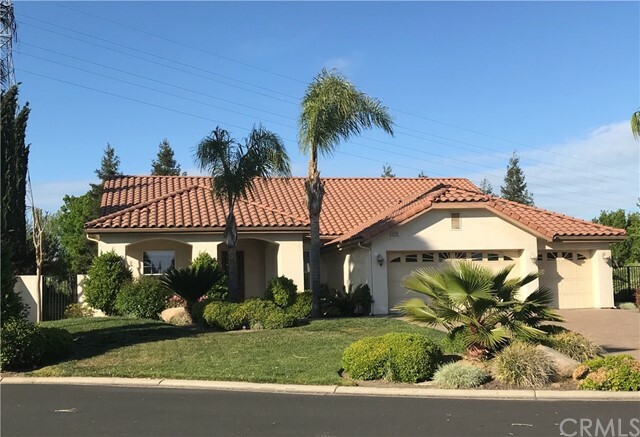 Open floor plan with very spacious bedrooms, walk in closet, kitchen features original fomica counter tops, wood cabinets, vinyl tile floor throughout. Move in ready. 3rd building is approx 1600 sqft. Featuring a fully finished inside. 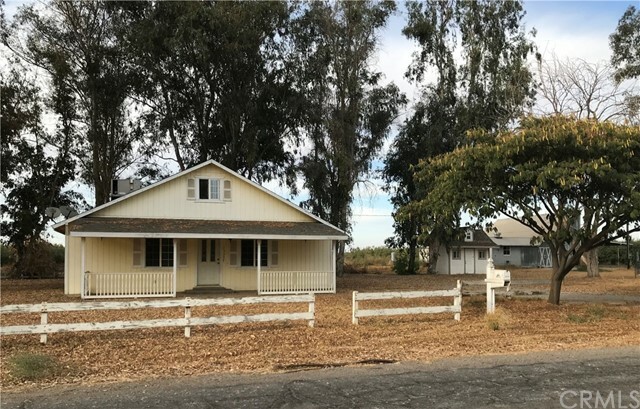 4th building approx 800 sqft was the original farm house, solid concrete walls, unfinished basement, and the original water tower.There is 2 carports and one detached garage. An extra large barn for farm animals. And a few small sheds. Property is fully fenced, chain link around homes and field is fenced for animals. Plenty of mature fruit trees. A portion of the property has been landscaped. Being sold As Is. One home is currently rented. Please do not disturb occupants." 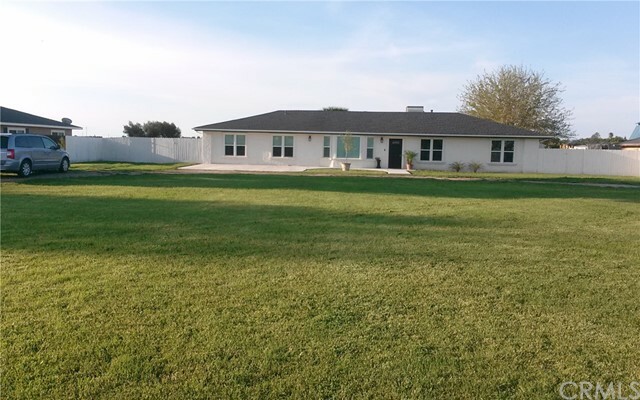 "Very nice 2310 sq ft single story home on a 1 acre lot with updates and upgrades. The home features 5 bedrooms total. 2 bedrooms, 2 bathrooms and a kitchenette are on one side of the house and the other 3 bedrooms and 2 bathrooms are on the opposite side making it ideal for anyone in need of a mother in law setup. Upgrades include plank tile flooring, granite counters, new cabinets, new fixtures and hardware, new windows, mostly new carpeting, new appliances, new gutters, new ceiling fans in dining area and kitchen, new light fixtures, freshly painted cabinets and fixtures in the master bathroom and laundry rooms, a professional dog kennel and a 1200 sq ft 2x6 shop with 220v 3 phase power. This is a very nice property that will not disappoint!" "Make This Your Own Paradise! Great home on 4.83 usable acres close to town yet in a country setting ready for new owners. Oversize bedrooms await you all with bay windows for plenty of natural light & ceiling fans, 2 bedrooms were recently painted. The kitchen has stainless steel appliances including a propane gas stove & range. Vaulted ceilings in both the family room & the master suite. Master suite has a large walk-in closet, double sinks & a separate shower & tub. There's a wood burning fireplace in the family room, a formal dining room, plenty of cabinets in the kitchen & extra storage. All this plus a newer roof approximately 6 years old, a covered patio, extra concrete, a chicken coop & more. Per Seller SQ FT of home differs from tax records - if important buyer to verify." "Beautiful Lake front home near the Pheasant Run Golf Course with a large patio to enjoy your enjoy coffee overlooking the lake. There are upgrades throughout that includes wood floors, wine bar, granite counter tops, central vac., 18 floor tiles in the kitchen, walk in tile shower in the hall bath and upgraded paint throughout. 2212 SQ Ft with 3 bedrooms and 2 1/2 baths, formal dining, office/den and a 3 car garage. Side yards are fenced for storage or dog area. Homes on the lake don't come up very often. Come See this one Today!" "HUGE CORNER LOT! 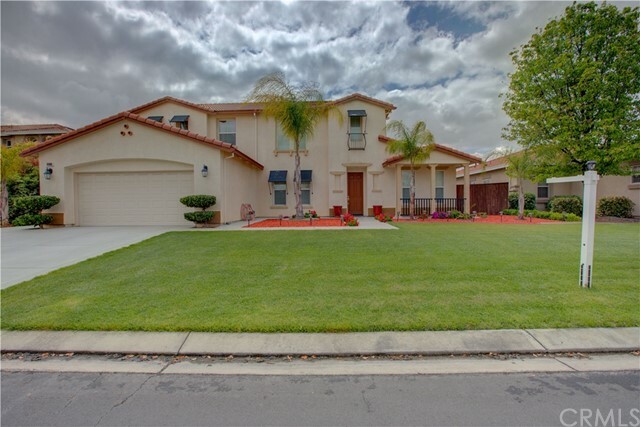 Plenty of space in this 5 bedroom 3 bath 2590 SQ FT home located in Greenhills. 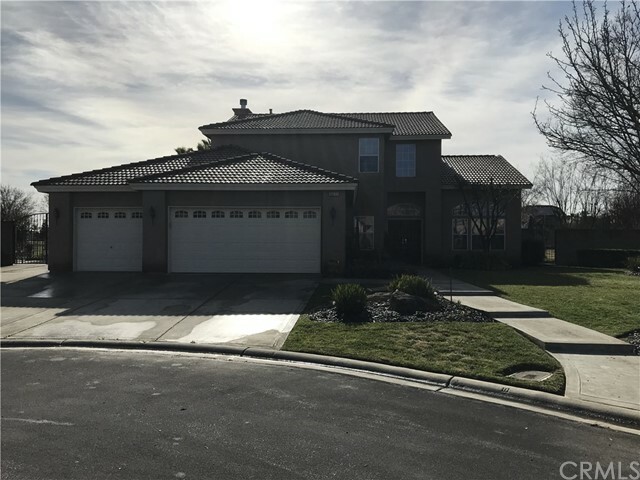 Features include: Both casual & formal living/dining areas, a kitchen opening to the family room with a fireplace, laundry room with cabinets, a loft area perfect for TV/game room or just a space for the kids to play. The huge lot is landscaped with plenty of concrete for your patio furniture & a gated side area for pets. There is much to offer in Greenhills gated community including community pool, spa. sports court, play ground, gym, fishing & picnic areas or golf at the Pheasant Run Golf course just minutes away. There may be an improvement bond paid with the yearly property taxes. Buyer to Verify." "Enjoy privacy and peacefulness surrounded by beauty and serenity. This single story, 3 bedroom, 2 bathroom home is ready to be yours! This house sits on 3 acres of pristine land. The house features an open, light and bright floor plan. Your kitchen opens up to your living and family room. Enjoy the comfort and convenience of an indoor laundry room. 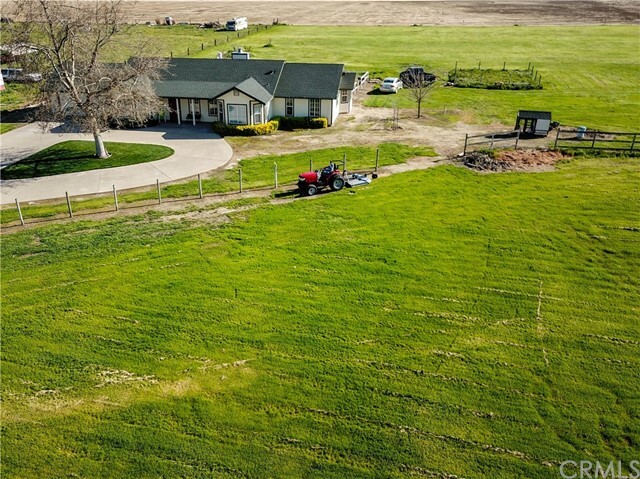 Whether you have farm equipment, RV, toys, boats or animals to raise this property has endless possibilities." "This lovely home has 3 bedrooms and 2 baths. The wonderful fireplace insert is an excellent heat source. There is Pergo flooring in three rooms and plantation shutters. It has a tile roof with rain gutters. Amazing back yard! There is a pool with updated filters, spa, eating area and a putting green. There are many cabinets in the larger 3 car garage." "A wonderful home for a family or entertaining visitors. 2382 square feet of 4 bedrooms and 3 1/2 baths. The master is on the first floor with a living room with fireplace, dedicated dining room and eat-in kitchen. The second floor features another junior master along with a loft area and two more bedrooms that share a large bathroom. Outdoor spaces include large front courtyard and covered rear patio." "Location! Location! Location!...Circle Drive Beauty! this home has rare amenities with a half acre lot in town. 3 car garage and solar panels. 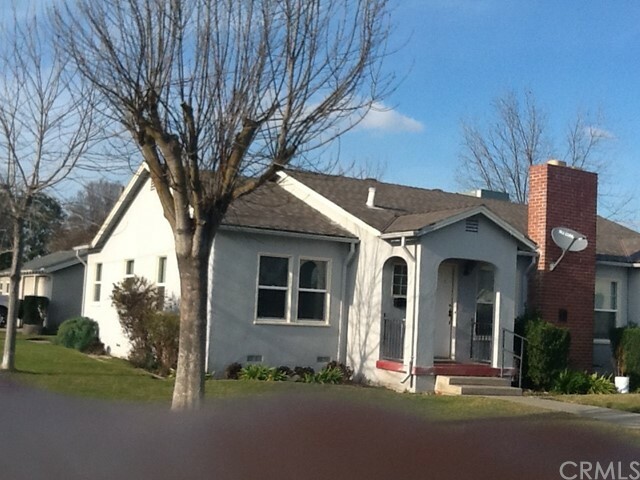 3 bedrooms 2 baths, huge laundry room, covered patio and large great room. the yard has multiple fruit trees for year long snacks. Lot SQ Ft may be different from tax records. If important buyer to verify." "MOVE-IN READY! Lovely single story home located in the Greenhills gated community. Features include granite counters, bamboo flooring, great room with fireplace, 4 bedrooms 2 baths all located on a fully landscaped lot. Refrigerator, washer and dryer are all included in the sale. There is much to offer in Greenhils including community pool, spa, sports court, play ground, gym, fishing & picnic areas or golf at the Pheasant Run Golf course just minutes away. There may be an improvement bond collected with the yearly property taxes. SQ Ft of home differs from tax records. If important. Buyer to verify." 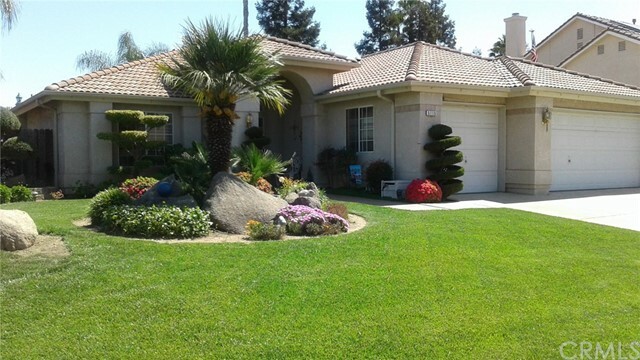 "Gated Community of the Villa's Is this Very well care for 3 bedroom 2 bath home. 1,927 sq. 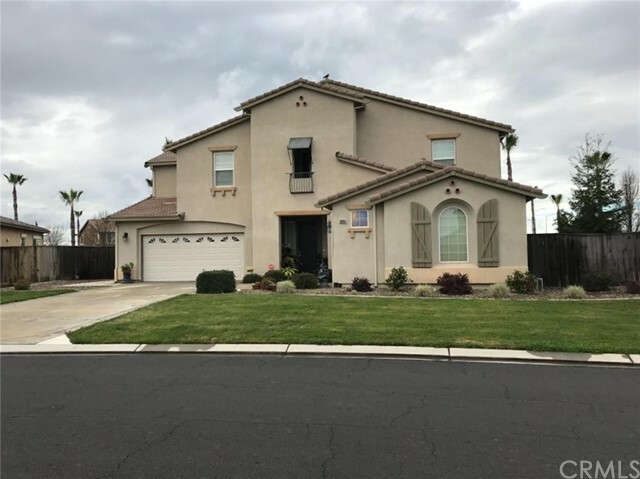 ft. Lovely Granite counter tops in kitchen, Kitchen and family living flow very nicely, home has 2 skylights, Indoor laundry room, many ceiling fans, the sweet family style kitchen, nice eating bar, and dinning area in kitchen with nice window, so your never alone. Home has lots of room. 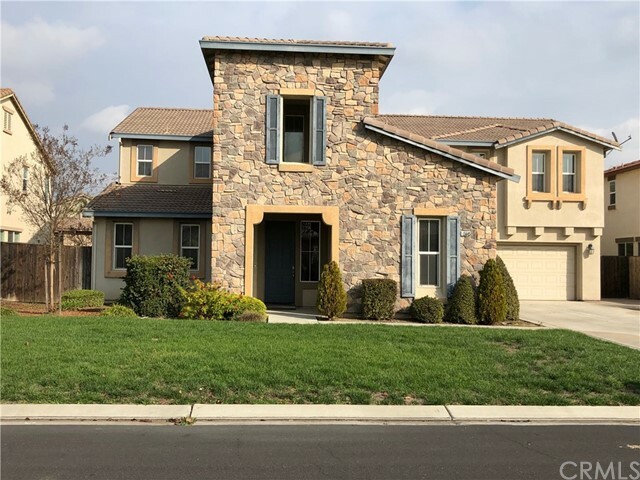 Enjoy your Family room and its nice fireplace, double sliding doors to back yard and patio, back yard is Low Maintenance, with lots of cement and walk ways. Separate living room. You have in this home with 2 Bedrooms on one side of home & Master suite on the other side, great for older family or office. Enjoy your Large bedroom, walk in shower & roman tub dual sinks. 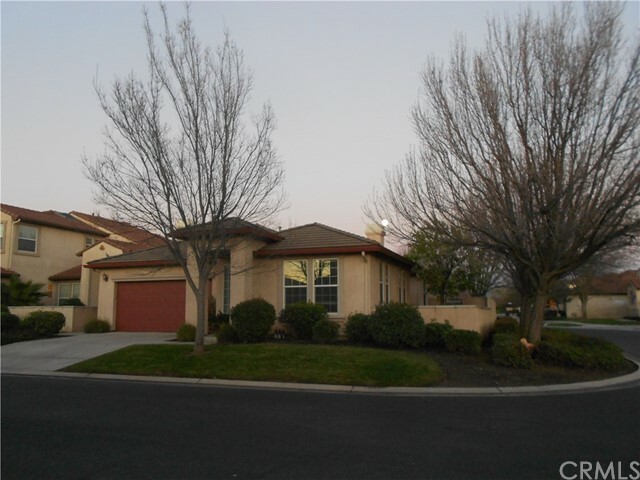 Home is on a nice corner lot in well cared for Gated community of the Villas. Amenities in the Villa's include: community pool,spa, gym and several private lakes. Close to Golf clubhouse & restaurant & Lakes. Enter at the Pheasant Run Golf club entrance. turn right at round about, need apt to get gate open. Great investment or personal home. Long term Tenant would like to stay if Investor wants. NOT in a Flood Zone! 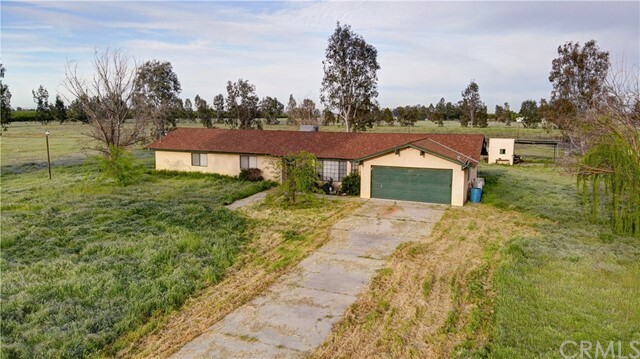 Pride of ownership this home and location E-Z Access to Hwy 99." "WOW!! 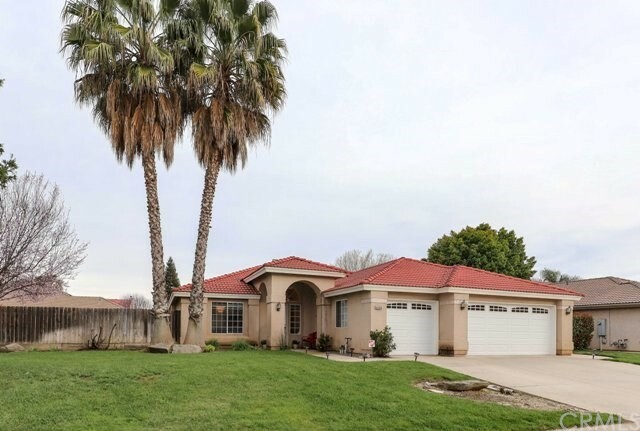 This 3 bedroom, 2 bath home sits on 2 lots, huge backyard with pistachio, fig, cactus, almond, apple, peach, lemon, grapes, persian apple, avocado and plum trees. It also has a storage room in the back yard to store your lawn mower and tools. The full finished basement with beautiful knotty pine cabinets and ceiling and a fireplace. 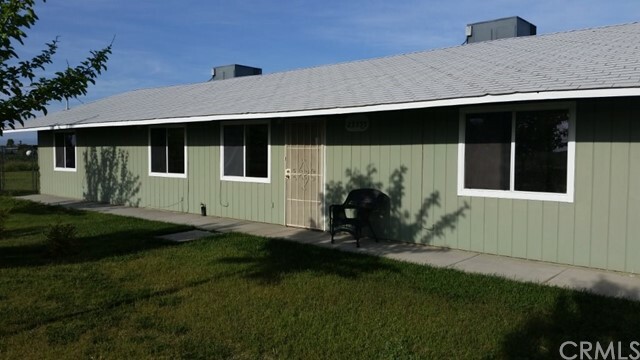 It also has a mother in law unit with 2 bedrooms, 1 bath and a complete kitchen. It is located by schools and parks. Call today to schedule your viewing!"